Steel buildings can offer options and usage. You can use steel buildings as: warehouse building, container house, agricultural storage, steel apartment and so on. Because of the advantages of steel construction, it made the design flexible, and can better meet customer demand for space structures, and a reasonable economy is one of the least expensive construction material available in the market. Steel structure warehouse is widely used in easy factory construction. It has short period construction, economical and beautiful advantages, easy to install. Steel structure is suitable to the innovative residential structure system, a variety of shapes, the new room type scale space, manufacturers can precision, high-quality, high-speed completed, the building is beautiful and the economy to achieve the effect. Steel Warehouses offer a number of benefits over conventionally constructed warehouses. 1. Steel Warehouses are resistant to fire, snow, water, wind and earthquakes. 2. 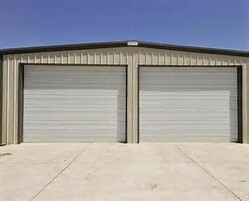 Steel Warehouses offer you adequate protection against attacks from pests and termites. 3. Using Steel Warehouses, you can get a clear span of up to 300 ft wide to fulfill your complex spacing needs. Steel structure factory building exposed outside with wind and rain, steel structure workshop will get corrosion and, rust, which will be affected the surface and their using. How to prevent corrosion of steel workshop and increase the using life is important task of developing steel structure building ,steel structure workshop get protective ready at the beginning of the building, in the process of building construction should consider anticorrosion design, for the steel structure by the outside factors of erosion should fully consider the planning .